ERIC JAMES SHANOWER was born in Key West, Florida, on October 23, to James Lowell Shanower and Karen Elizabeth Shanower (nee Hietanen). The family soon moved to Hawaii, where they lived on the islands of Kauai--where Eric's sister, Elizabeth Edna Shanower, was born--and Oahu. The Shanower family subsequently lived in Monterey, California; Laurel, Maryland; Norfolk, Virginia; Port Angeles, Washington; Guantanamo Bay, Cuba; and Novato, California. Early in life Eric showed interest in drawing and in creating stories. At six years of age he discovered the series of Oz books by L. Frank Baum (and others) and decided to continue the Oz series with his own books. He began with amateur efforts, producing several illustrated manuscripts during the next decade. After graduation from Novato (California) High School, he attended the Joe Kubert School of Cartoon and Graphic Art in Dover, New Jersey. On the day after graduation, he received his first professional comics assignment, lettering an issue of the comic book Warp, published by First Comics. In 1986 the first volume in Shanower's series of graphic novels continuing the Oz books by L. Frank Baum, The Enchanted Apples of Oz, was published by First Comics. Four more volumes in the series followed, the final one published by Dark Horse Comics in 1992. A collection of all five Oz graphic novels, Adventures in Oz, was issued by IDW Publishing in 2006, and subsequently as two volumes titled Little Adventures in Oz. Although Eric sometimes is determined to get out of Oz altogether, this hasn't happened so far. After the Oz graphic novel series, Eric's many other Oz projects have included writing and illustrating a children's novel The Giant Garden of Oz (Books of Wonder, 1993) and a collection of short stories The Salt Sorcerer of Oz and Other Stories (Hungry Tiger Press, 2003). He wrote the scripts for Marvel Comics's adaptations of L. Frank Baum's Oz books, with art by Skottie Young (2008 - 2014). The first of these adaptations, The Wonderful Wizard of Oz, spent twenty-three weeks on the New York Times Graphic Books best seller list and won the 2010 Will Eisner Comic Industry Awards for "Best Publication for Kids" and "Best Limited Series or Story Arc." The second volume, The Marvelous Land of Oz, spent three weeks on the New York Times Graphic Books best seller list and won the 2011 Will Eisner Comics Industry Awards for "Best Adaptation from Another Work" and "Best Penciller/Inker." The third volume, Ozma of Oz, spent a week on the New York Times Graphic Books best seller list. In 1991 Eric began research for Age of Bronze, his comics retelling of the Trojan War legend. Age of Bronze began publication from Image Comics in 1998. This retelling of the Trojan War draws upon the long literary and artistic traditions of the Greek myth, beginning with Homer's Iliad, while incorporating archaeological findings from the Aegean Late Bronze Age. Age of Bronze won the Will Eisner Comics Industry Award for Best Writer/Artist in both 2001 and 2003, and the Gran Guinigi for Best Serialized Comic at the Lucca (Italy) Comics Festival in 2006. The series has been nominated for several other awards, including an Ignatz (Small Press Expo, 1999) and a National Cartoonists Society Division Award (2004). The American Journal of Archaeology is just one of many publications that has favorably reviewed Age of Bronze. The second collected volume, Age of Bronze: Sacrifice, was selected as one of the Best Books of the Year (2004) by the editors of Publishers Weekly. Eric has published many other projects, including both An Accidental Death (Fantagraphics, 1993, nominated for two Eisner Awards) and Prez: Smells Like Teen President (Vertigo/DC, 1995) with writer Ed Brubaker; The Elsewhere Prince (Epic/Marvel/Les Humanoides, 1990-91) with Moebius (Jean Giraud) and Randy and Jean-Marc Lofficier; and Harlan Ellison's Dream Corridor (Dark Horse Comics, 1994-2007) in which he illustrated Ellison's introductions to comics adaptations of the writer's stories. He wrote the Eisner Award-winning series Little Nemo: Return to Slumberland (IDW, 2014) with art by Gabriel Rodriguez. 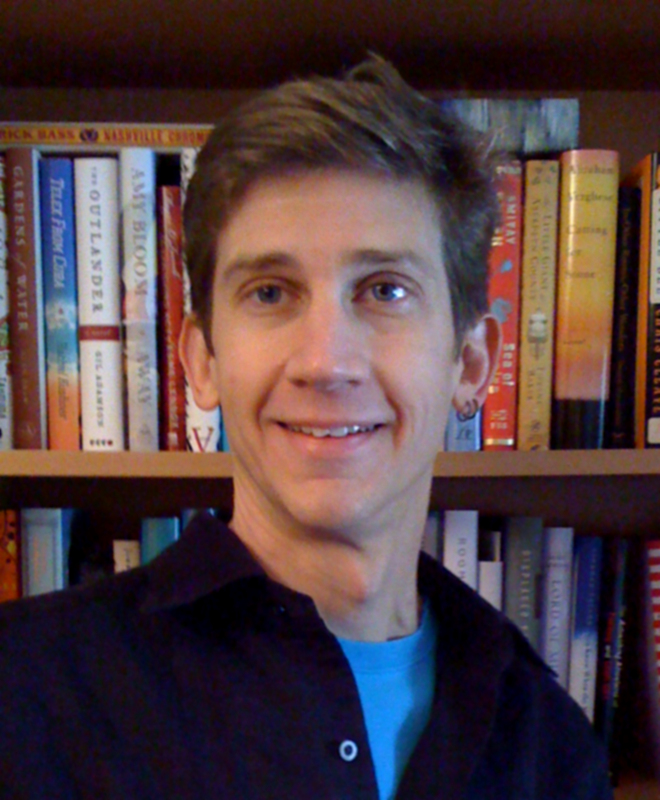 In 1994 Eric co-founded Hungry Tiger Press with his partner David Maxine and served as co-publisher through the end of 2002. Shanower's work has also been published by DC Comics, Marvel Comics, Archie Comics, Dark Horse Comics, Random House, IDW, HarperCollins, Nickelodeon Magazine, Slave Labor Graphics, Oxford University Press, Books of Wonder, Star Wars Insider, and others. After spending much of the 1990s in New Haven, Connecticut, and Bloomfield, New Jersey, Eric and David lived nearly two decades in San Diego, California. They currently live in Portland, Oregon, where Eric continues to write and draw Age of Bronze as well as to illustrate comics, books, and other media. Eric has been a speaker at UCLA, the University of Cincinnati, the University of Southern California, Henderson State University (Arkansas), the University of Bristol, the American School of Classical Studies at Athens, California State University Fresno, Nottingham University, Bucknell University, Yale University, and was a keynote speaker at both Illinois Wesleyan University and Kansas State University. Conventions he has spoken at include annual meetings of the Society of American Archaeology, the International Reading Association, the National Council of Teachers of English, the National Junior Classical League, as well as many Oz conventions and comic book conventions in the USA and abroad. His artwork appears in the documentaries The Wonderful Wizard of Oz: The True Story (BBC, 2011), Adventures into Digital Comics (Top Two Three Films, 2006), The Truth of Troy (BBC, 2004), and Oz: the American Fairyland (Sirocco Productions, 1997). He is interviewed in the documentary Because of the Wonderful Things It Does: The Legacy of Oz on the 2005 and 2009 video reissues of the MGM motion picture The Wizard of Oz. Aside from drawing comics and illustrations, Eric's activities include reading, swimming, family genealogy, and ballet. He has performed in many theatrical productions over the years. He produced, co-designed costumes and sets, reconstructed the libretto, and played a small role in the first professional revival of L. Frank Baum's 1913 stage musical The Tik-Tok Man of Oz, directed by Chrissie Burns, in San Diego, CA, in 2014. He played the role of Drosselmeyer in Del Mar Ballet's 2014 and 2015 productions of The Nutcracker, directed by Marie Arts. Eric choreographed, produced, and performed the role of the Shaggy Man in a ballet version of The Road to Oz at the Winkie Con 2009, Pacific Grove, California. He has also appeared in the Ballet Arte of Solana Beach, California, production of Sleeping Beauty as the king (2006), and in 2004 and 2005 as Mr. Stahlbaum (Clara's father) in Ballet Arte's annual production of The Nutcracker as well as dancing the featured male Arabian in the 2004 production, directed by Sara Viale and Erlends Zieminch. Previously he was seen as Will Roper in A Man for All Seasons at Nutley Little Theater in Nutley, New Jersey (1996). His favorite role was the Dauphin in George Bernard Shaw's Saint Joan, also at Nutley (1995). Memorable for one reason or another have been his roles as Gollum and Smaug in The Hobbit (1984) which also included Christopher Innvar as Gandalf and Margaret Noonan in the cast, the role of the Regent in Marc Lewis's staging of L. Frank Baum and Frederic Chapin's The Woggle-Bug at several conventions of The International Wizard of Oz Club (1986 and 1987), the role of Romeo in the balcony scene of William Shakespeare's Romeo and Juliet with Hazel Robinson as Juliet (1985), and the role of Alan in Babes in Toyland for KT Productions (1995 and 1996).